The manna was like coriander seed and looked like resin. The people went around gathering it, and then ground it in a hand mill or crushed it in a mortar. They cooked it in a pot or made it into loaves. And it tasted like something made with olive oil. When the dew settled on the camp at night, the manna also came down. As if they were not even fazed by the burning at Taberah, the “rabble” began to complain about the year’s repetitive supply of manna that had become tedious to their taste. Like pharaoh who hardened his heart after he was given relief from each plague, these people only respond to their immediate circumstances. They do not understand and they do not believe. Their complaint was not about the lack of food, but about the lack of variety of food. The Israelites had been eating manna for over a year. It began to appear each morning before they reached Mount Sinai. They remember the good days and the good food back in Egypt: free fish, cucumbers, melons, leeks, onions and garlic. This variety of “free” fish would have been available in the canals from the Nile and the variety of vegetables would surely have been available in the land of Goshen in the Nile delta. But, none of these are available in the wilderness. Israel must endure this journey to the Promised Land by faith. They must know that something better than some fish and vegetables is available for those who endure patiently and follow the Lord into his Promised Land. Manna is described by its look, its texture and its taste. It looked like coriander seed which is used for flavoring like we use sesame or poppy seeds or, like bdellium which is a pale yellow translucent resin. The hardened resinous manna would be ground on a millstone or in a mortar. The ground manna would be boiled and made into cakes. Manna tasted like something made from olive oil with a rich creamy flavor. Exodus 16:31 says these manna cakes tasted like honey. The biblical text describes Moses’ response to the complaints of the “rabble” with the phrase “Moses was troubled” which is literally, “it was evil in his sight.” Moses knew the people’s complaining about the Lord’s provision and their glorious recollection of the fish and vegetables in Egypt would not end well. Many of the complications, challenges and conflicts of life are necessary for production, improvement and the advancement of the plan of God. Success is not always simple. I will consider the mess and the stress as the avenues to an abundant harvest. 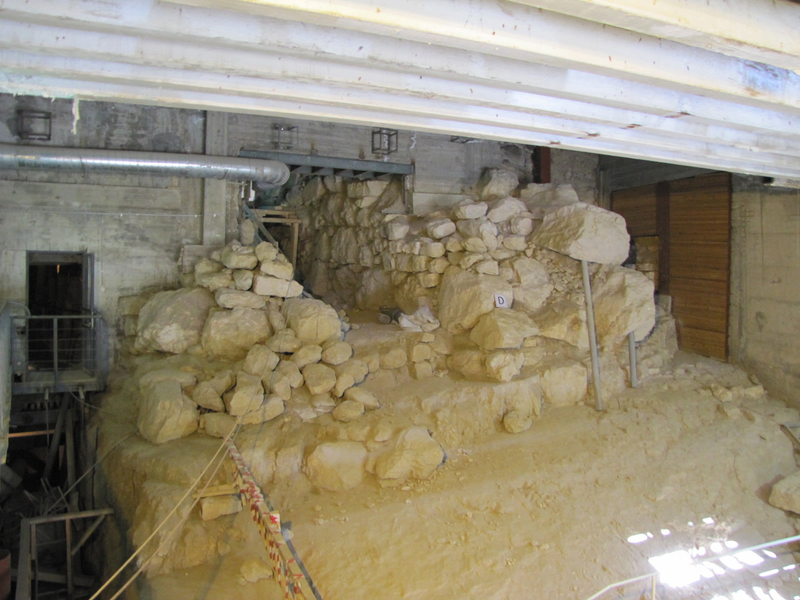 Stones from the guard towers that protected the Gihon Spings in the Kidron Valley below the royal palace and the Milo. 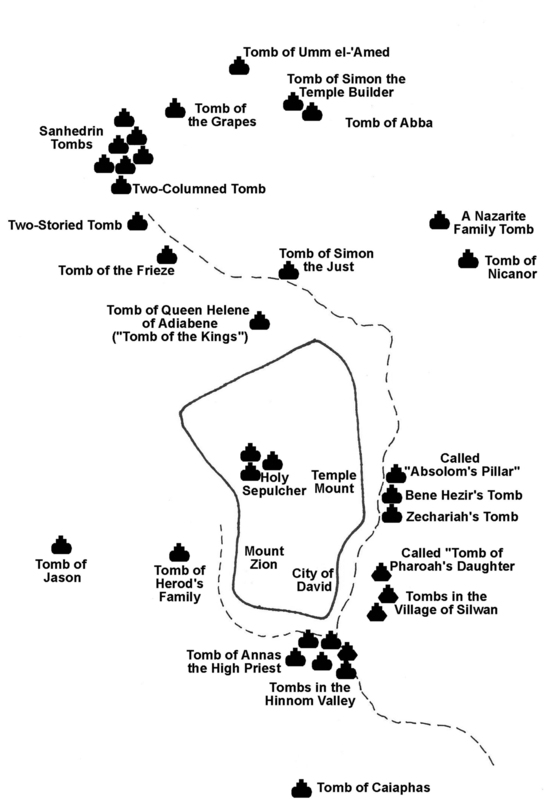 Locations of ancient tombs that can be visited today in Jerusalem. "God isn't looking for people of great faith, but for individuals ready to follow Him"
In 863 AD a monk from Thessalonica named Methodius and his brother Cyril set out to evangelize the Slavs (Indo-European ethnic-linguistic group living in Central Europe, Eastern Europe, Southeast Europe, North Asia and Central Asia on the borders of the Western and Eastern Churches). Cyril was a philosophy professor who had already evangelized the Arabs. When Methodius and Cyril went northeast of the Black Sea to teach the Slavs there was already tension between the Western Church based in Rome and the Eastern Church from Constantinople. The brothers learned the language or the Slavs and Cyril created an alphabet using Greek letters (this alphabet is still used today in Russia.) They translated the scripture s and wrote the church liturgy into the Slavonic language. But, the German archbishop complained that the Latin language was not being used. Pope Adrian II approved of Cyril and Methodius’ use of the Slavic liturgy, the German clergy countered by arresting Methodius. He was kept in prison for three years for not using Latin in the Slavic churches. Soon Latin replaced the Slavic liturgy, but the Slavic language and its strand of fiercely independent Christianity had been born. The unusual amount of lumber that was used to construct and decorate the palace. Large amount of oil was stored in pithoi (huge storage jars) in the palace. A 2350 degree Fahrenheit inferno that consumed the palace. Slabs of basalt stones that served as corner stones and foundations stones cracked in the heat. "Where there are no oxen, the manger is empty, but from the strength of an ox comes an abundant harvest." Help people smile. Make them feel good. Refresh them with laughter. 25 The Lord said to Moses, 2 “Tell the Israelites to bring me an offering. You are to receive the offering for me from everyone whose heart prompts them to give. 3 These are the offerings you are to receive from them: gold, silver and bronze; 4 blue, purple and scarlet yarn and fine linen; goat hair; 5 ram skins dyed red and another type of durable leather; acacia wood; 6 olive oil for the light; spices for the anointing oil and for the fragrant incense; 7 and onyx stones and other gems to be mounted on the ephod and breastpiece. 7 “‘The same law applies to both the sin offering and the guilt offering: They belong to the priest who makes atonement with them. 8 The priest who offers a burnt offering for anyone may keep its hide for himself. 9 Every grain offering baked in an oven or cooked in a pan or on a griddle belongs to the priest who offers it, 10 and every grain offering, whether mixed with olive oil or dry, belongs equally to all the sons of Aaron.